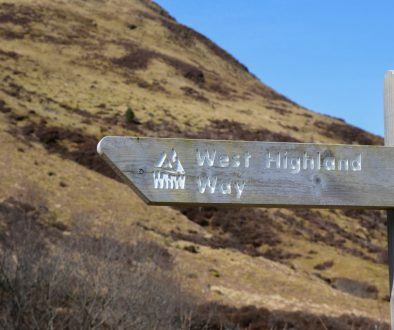 I love hiking, a lot and when I looked for a multiday hike and found the West Highland Way in Schotland, I was sold. It would be a challenge, because it would be my longest hike so far (154km in 7 days) and it was the first time trekking with camping gear. I asked my brother to join me and off we went. It was a heck of an adventure. The first days on the trail made me realize that I underestimated this. 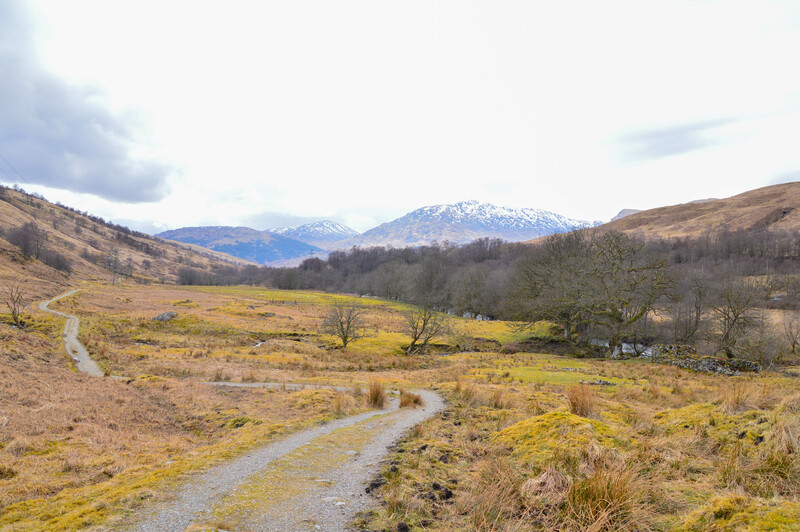 According to the West Highland Way guidebook, the first part of today, is about to be the toughest part of the trail. However, the first part isn't that hard at all. The path is less easy and you have to climb over rocks and trees sometimes, but it's not any harder than the other days. For me though, the second part of the day is way harder. 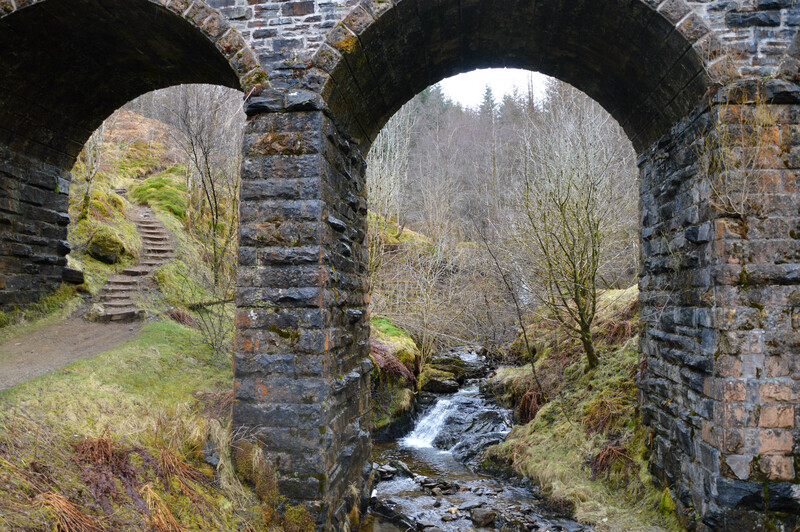 It takes way longer than expected to reach Crainlarich. We pass through lots of meadows with sheep and sometimes cows. Some parts of the trail are extremely muddy because of where the animals walked. And also, animals poop, so... yeah, nog explanation needed I guess? We saw a lot of animals on our way and also a lot of frogs, who conveniently sat in the middle of the trail. We had to watch out sometimes! On the left, we are taking a break at the honesty box. I'm having it real tough on the las kilometres of the hike. My body is really tired. I'm having a hard time but then, in the middle of nowhere, we see an honesty box! You can't believe how happy that made me! And even better, the owners of the box put some chairs next to it as well, which is a luxury! So, the honesty box is something you see sometimes on the trail. It's a box filled with drinks and sometimes food and there is a box to pay for what you take. However, no one's there, so they trust that you'll be honest. Hence the name. This box was a gift from heaven! I took some chips and an energy drink and we sat down for a bit. It was exactly what I needed! Afterwards I felt better and I had the energy to push through the day. And finally, we made it! 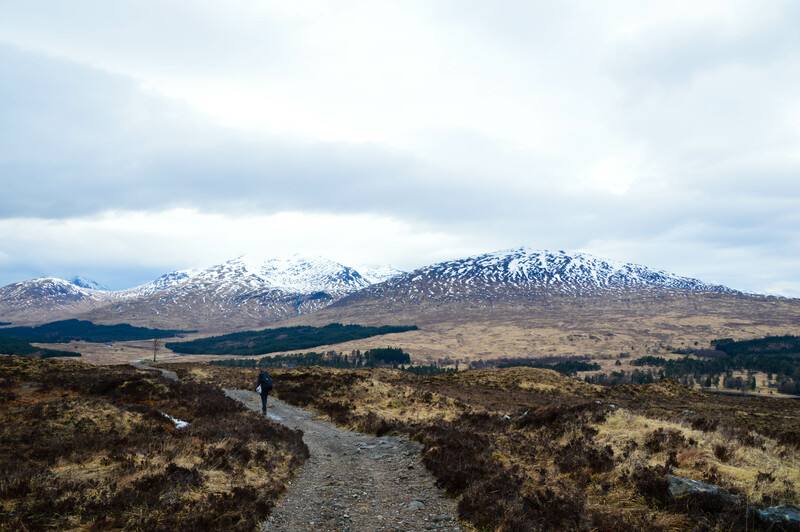 We were halfway on the West Highland Way! You can't believe how happy that made me, I was so proud already! We found the perfect camping spot - it turned out to be the best spot of the whole trip - and started cooking are food. It was amazing. 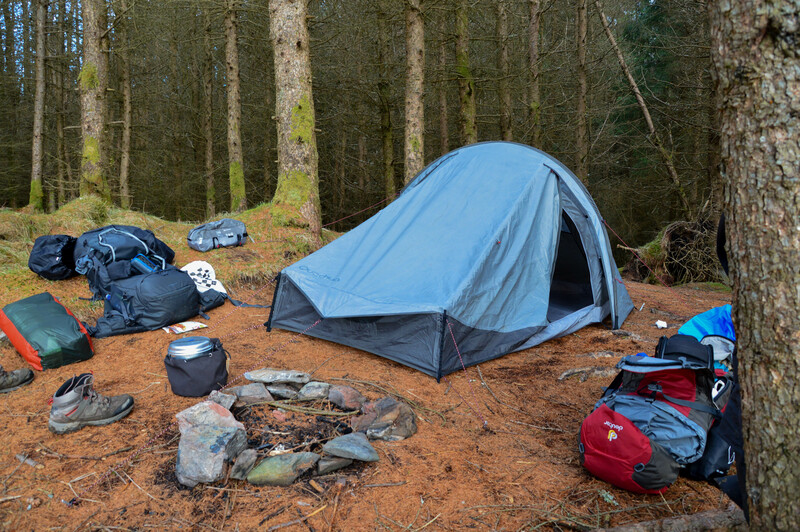 While we were installing, another hiker arrived and he asked us if we minded that he camped closeby. Of course we didn't. He was Scottish and was hiking the trail by himself. 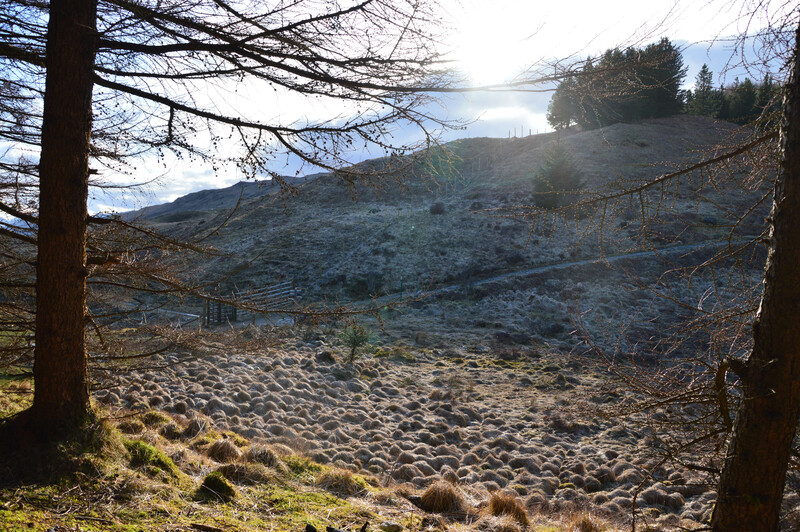 He started with a friend, but he decided to quit at Ilversnaid. We talked the whole evening, it was really nice. We went to bed tired, but content. Oh, important note: on the picture you see the leftovers of a campfire. I want to say that it isn't ours - it was there when we arrived. Making fire is forbidden on the Way. 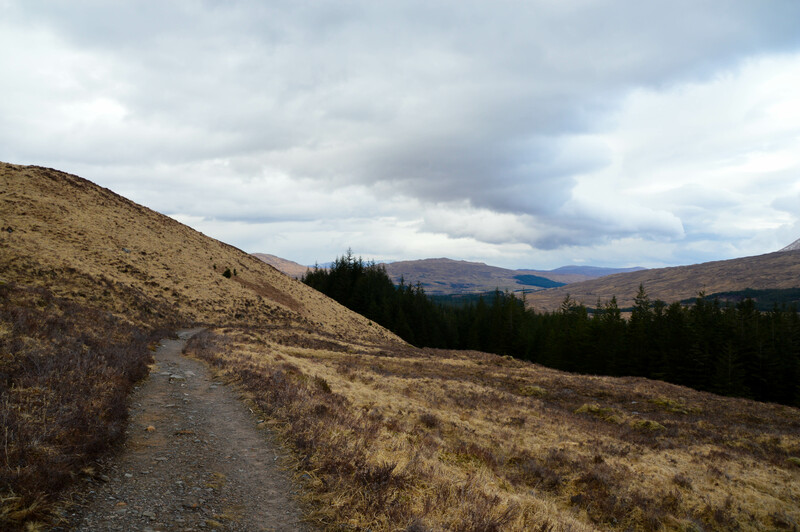 Today we hike to Tyndrum and once there, we decide - after a long discussion and lots of doubt - to take a bus to Bridge of Orchy. Why? I was honestly exhausted. Yesterday had been tough on me and I felt that my body could use some rest. And my brother his knee was hurting and because he had had an operation on his knee a few years before, we decided it best to take it easy today. Because of our schedule, we had to keep moving though and that's why we decided to take the bus. We're not really proud of it, but it also takes some guts to decide to do what's best. Mind you, we only 'skipped' 10km - it took us ten minutes by bus. I think we didn't miss a very special part of the hike. We did decide to walk a bit after we took the bus and ended up walking around 5 more kilometres. We still hiked 15km today - but in comparison with the other days, this wasn't much. We found a nice camping spot on a hill in a small forest. It was quite windy and cold today, so we went to bed early. We really adjusted to the rhythm of nature. Staying up late isn't even a real option because you can't do much when it gets dark. And we did bring a book, but were often too tired to read in the evening. I think we went to bed at 9 o'clock in the evening and woke up around 6h30 or 7h. 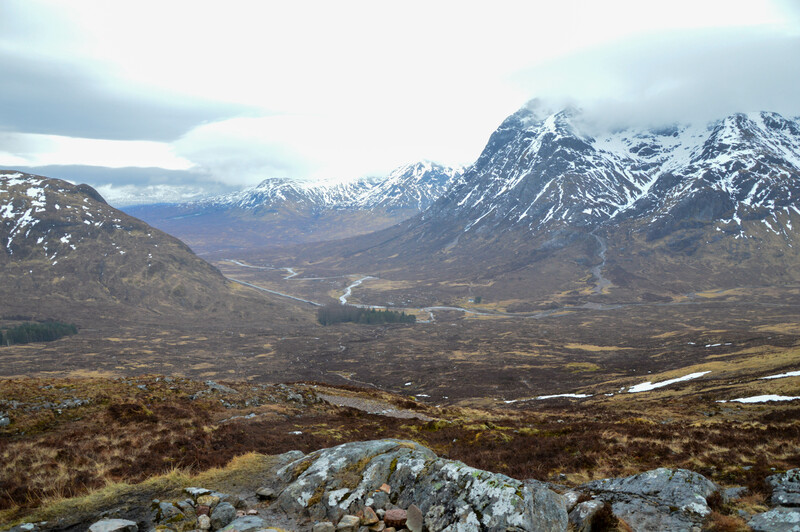 The plan for today was to walk 15km to Kingshouse - the hike was really beautiful and we went quite high up! It really felt as if we were completely alone in the world. The hike was stunning and we enjoyed it to the fullest. The hiking also went really well because we had rested a bit the day before, which was very nice. However, we arrived at Kingshouse, our goal for the day, at midday already. It was only 13h30 and we thought it way too early to install ourselves for the evening. What would we do all day? So, we decided to continue hiking and to find a spot to camp later in the day. It wouldn't have been a bad idea on any other part of the Way... but now it was. What we hadn't checked, is what came next... So we continued walking and then we realized we arrived at the Devil's Staircase. As the name suggests, it is not an easy part of the way. We had hiked 15km by then already, so we weren't too tired, but it was not as if we had all our energy. We took a rest and talked about our options. It turned out there weren't many options. We weren't at a good place to camp, so we decided to climb the staircase from hell. And hell it was. With my 16kg backpack, it was a real workout. However, I made it in half an hour and did quite fine - with some stops in between to catch my breath. The Devil's Staircase made me realize how much more trained my body had become, compared to the beginning of our trip. Oh, a fun detail: it was pouring. So we made it to the top, but it was really cold over there with the wind and the rain. We continued the way until we didn't see the trail anymore. There was a lot of snow on top of the hill and we lost the path. Which wouldn't be a disaster, until we realized that there was a river running underneath the snow. It was quite the adventure to cross the river and find our way back to the path. At this point, adrenaline had kept me going and I didn't feel the exhaustion yet. We had hiked more than 20 kilometres already, including climbing the Devil's Staircase. If you look really well, you can see a tiny house in the distance - that one is close to the start of the staircase and gives you some insight in the climb we made. 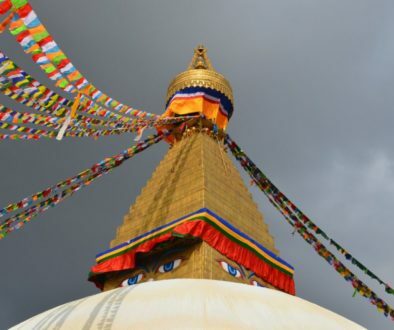 I started to feel the toll the day took on my body but there was no possibility to stop. We were up too high to camp and with the snow and the rain, it would be impossible to stay dry. The only way was to go forward. Because it was so cold, I went really fast and even my brother was surprised by my energy. But I was scared I wouldn't be able to stay warm and I wanted to descend as quickly as possible. I was more relaxed when we were lower, but that also made me feel how tired I was. I started to get more clumsy and at some point I even fell. I had it really difficult then but my brother helped me up and we kept going. 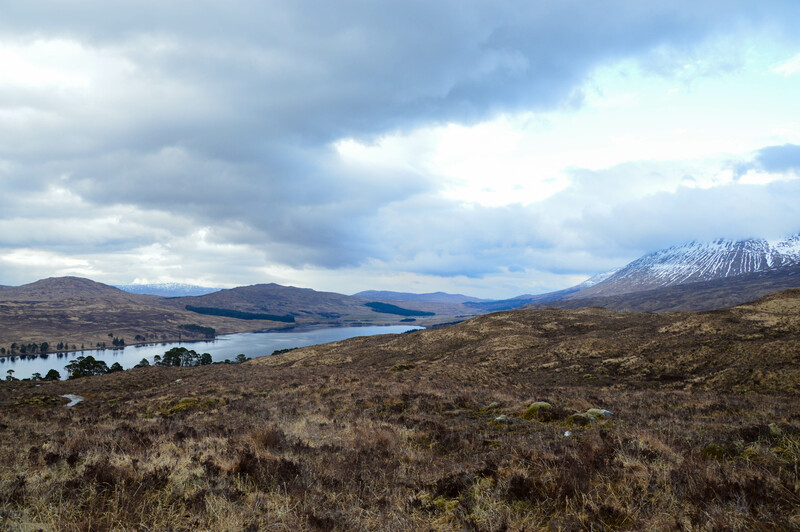 When we saw Kinlochleven in the depth of the valley, we were so happy. However, we were relieved to soon! What started was the longest part of the whole way (not literally, but it felt that way). The town didn't seem to come and it took us two more hours to finally reach the town after we saw it from above. It felt like eternity. 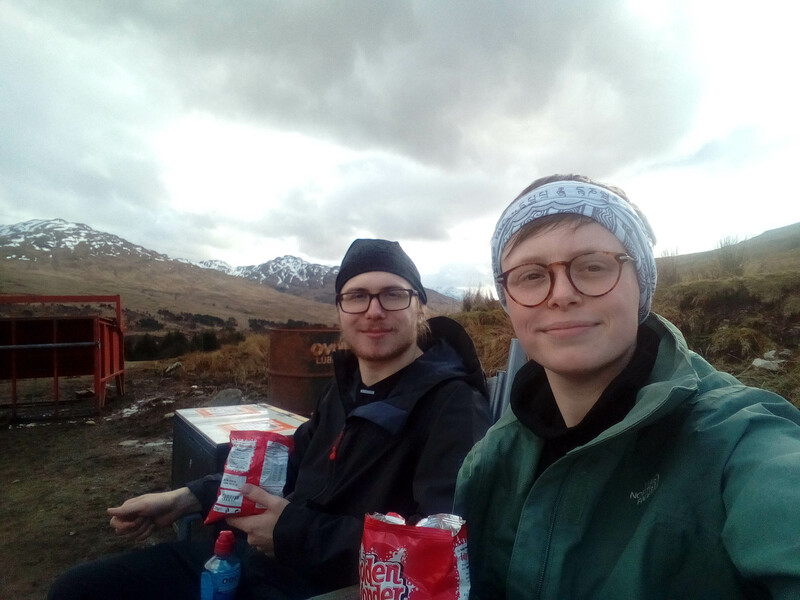 We decided to camp at the Blackwater Hostel, but when it was still pouring when we arrived and we were so cold and wet already, we decided to rent a bunk bed. We installed ourselves and covered every surface of the room with our wet items. We both enjoyed the warmth of the indoors and the shower was a treat. We went to the town's supermarket to cook ourselves a delicious meal. During our dinner we talked about what we would do the next day. We were now a day ahead of schedule and we had a rough day. We thought about hiking a part of the last day and camp in between, but we were afraid we would be quite high up again and that camping wouldn't be possible. So we decided to book another night at the hostel. So we decided to take a day off, so we could enjoy the last day of the Way to the fullest. And that day off did us good! We slept in and enjoyed the luxury off our bed and we were just lazy. We read the whole day and only went out to get some food for lunch and dinner. And the day flew by! We enjoyed it so much! We cooked a decent meal and it was just perfect. You have to know that it was a lot of luxury after the camping and package meals. We packed our bags for the last 24 kilometres of the trail and went to bed early. The last day of our hike! The last 24 kilometres! I was so excited! From the beginning of the trip I really wanted to make it to the end and today I finally would. The guide made the last part sound quite tough, but even though there was a bit of a climb in the beginning, it was nothing compared with what we had done before. 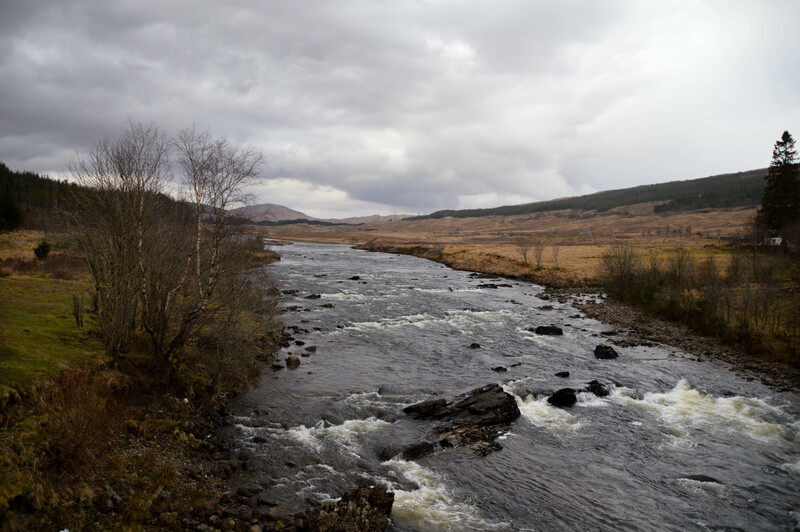 We flew through the day and arrived at Fort William earlier than expected! 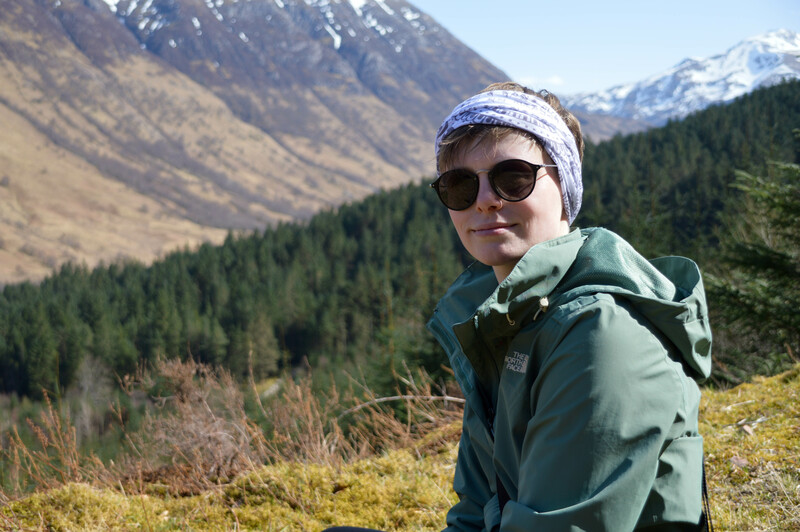 It made us regret our choice to spend a day relaxing in Kinlochleven, because the last trek wasn't that hard. However we did enjoy our day of doing nothing, so there was no use in complaining. A small break with a stunning view of Ben Nevis, before the last 5k. 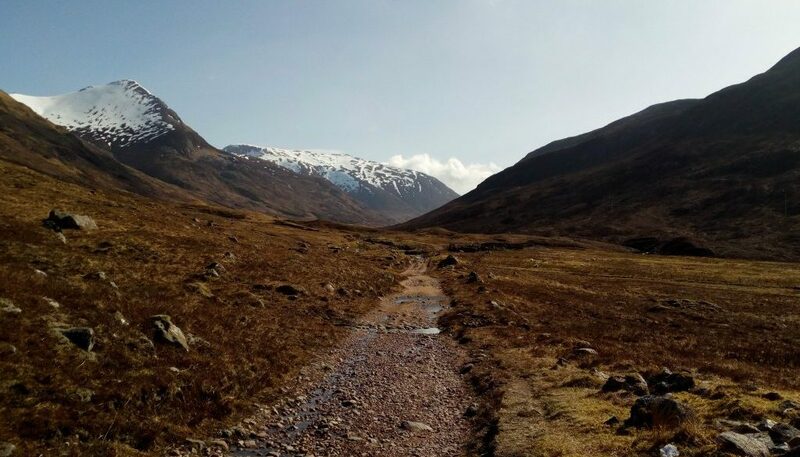 The last part of the Way is next to the road leading towards Fort William - after all that natural beauty, it's a bit of a less satisfying ending. But we were excited anyway because we were almost there! It was really sunny on our last day and it was simply amazing! 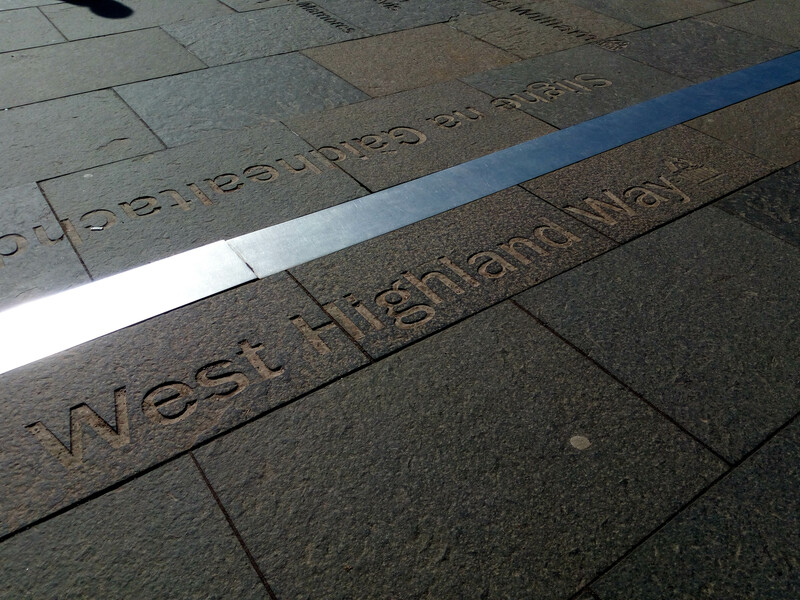 The 'finish line' of the Way lies in the town centre, so it takes some time to get there after entering the town. 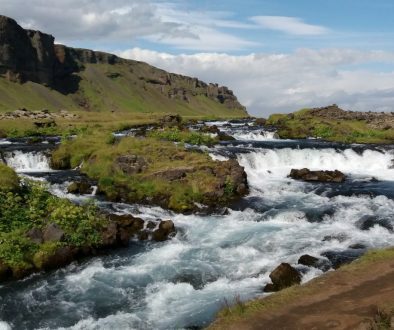 We were quite impatient and when we enjoyed the sun on a bank in town after our arrival, we saw many hikers arriving and wondering where that ending would be! So yeah, we crossed the line and it was great! 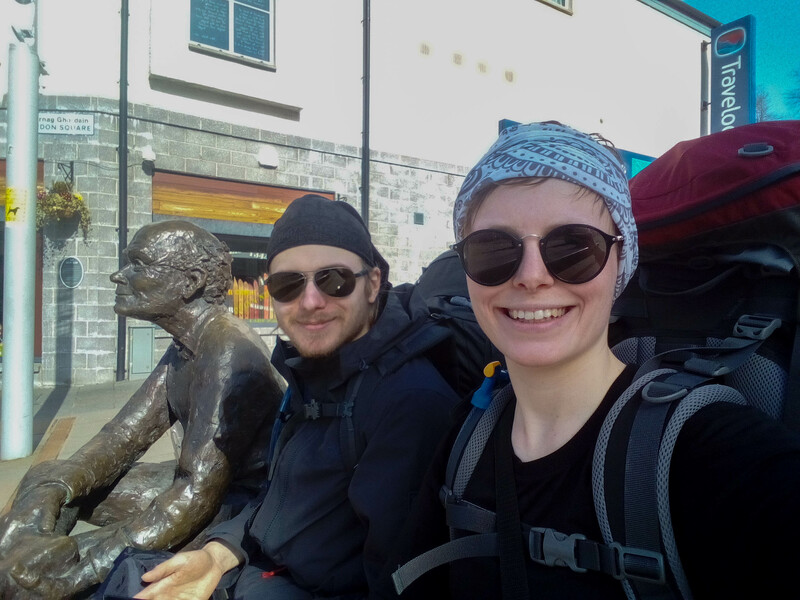 We took a picture with the statue of the hiker with the sore feet and found a spot to enjoy the sun and went to buy some food. My brother and me next to the statue of the hiker with the sore feet. So that was it. We enjoyed the sun in the town center and took the bus back to Glasgow the same evening. In a three hour drive we were back at the point where we started. It was a bit surreal that we walked 7 days and were back in a few hours. But the different perspective you had from the bus on what we walked was very nice, because the landscape looks different from afar and we were always in the middle of it. We arrived in Glasgow very late and just checked-in in our hotel. The next day we ate breakfast in the city and were off to the airport. 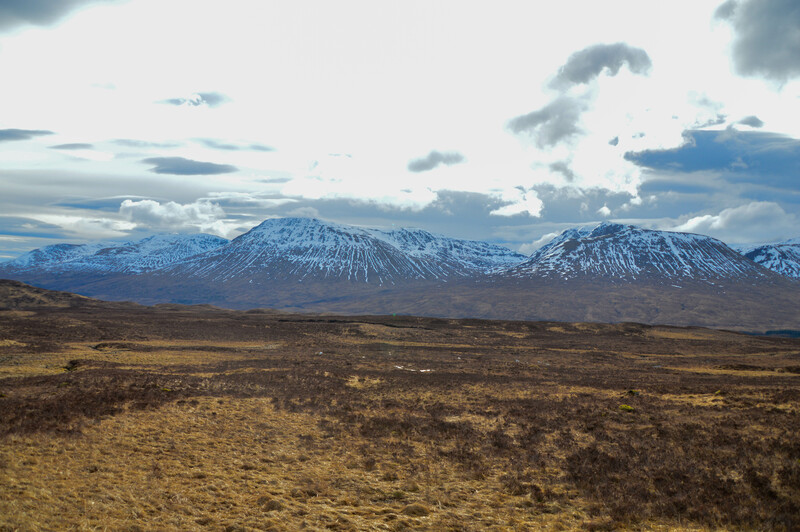 We will come back for the Scottish cities, but for now, it was enough. 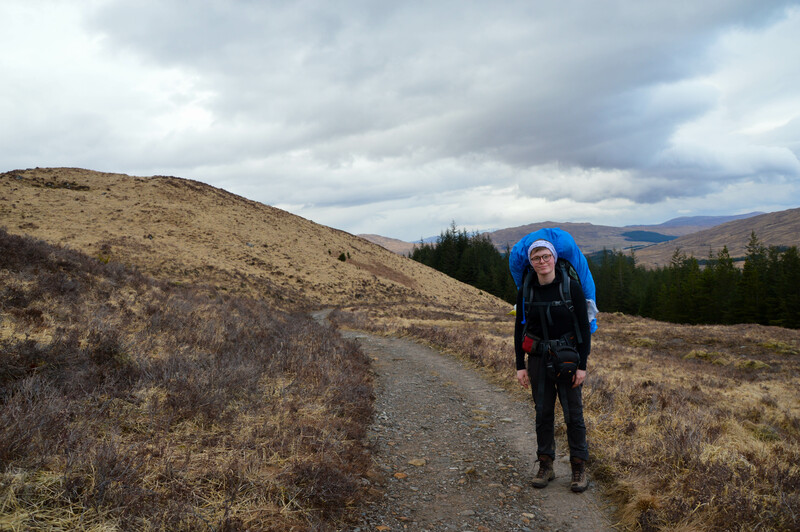 Hiking the West Highland Way is definitely one of the more challenging things I've done in my life, on a physical level. I was in good shape, but I had never hiked that long with such a huge weight on my back. 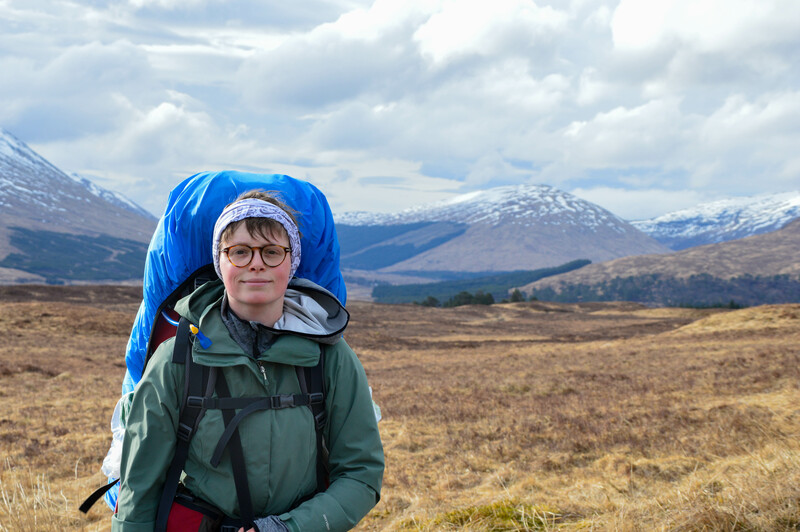 It definitely wasn't my smartest idea and I can advise everyone to train with your pack or to do the hike without carrying camping equipment. 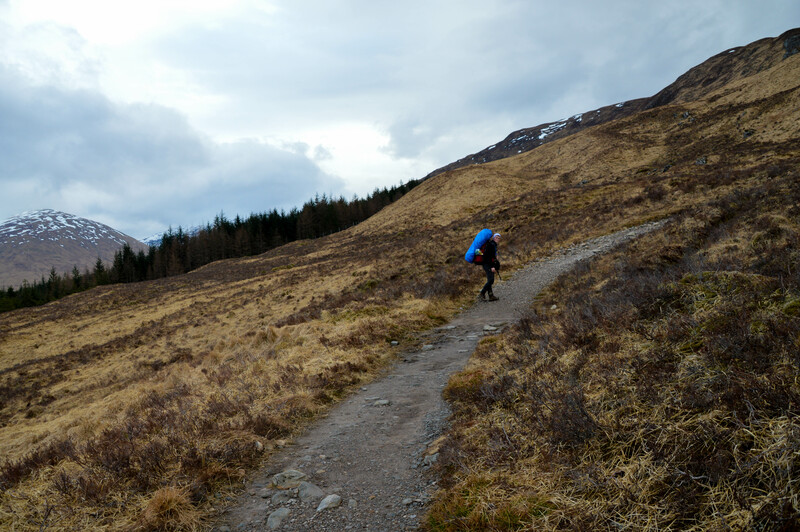 Stay in the hostels along the way - or use a bag carrying service. But I'm so glad I did it. I'm really proud of myself. I really pushed my limits and I had the chance to find out that I'm really strong. I realized that I'm way stronger than I thought I was and that's amazing to experience. I learned to appreciate my body so much more and I'm surprised at what I'm capable off. Even though the next time I'll prepare better - I'll definitely push challenge myself again. It was an amazing experience and I want to thank my brother for wanting to do this with me and for putting up with me for 8 days, even in our tiny tent. I loved it and would do it again in a heartbeat. 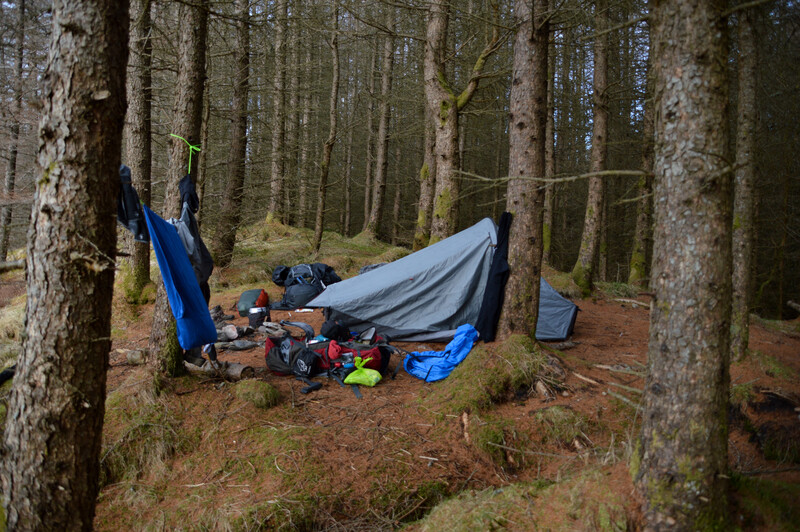 What I take home with me from… the West Highland Way. What I take home with me… from hiking in Portugal.